Abbott Press is an imprint owned and run by Author Solutions Incorporated. Abbott Press was originally launched in January 2011 in a partnership between Writers’ Digest and Author Solutions. I made a brief mention of the newly formed partnership and press release here. Back then, the launch was greeted with a mixed reception much in the way WestBow Press and DellArte Press were greeted in 2009 when these ventures were launched. Some particularly sharp but controlled exchanges took place on Lynn Price’s Behler Press blog, and it led to a response from F+W Media’s Phil Sexton, who is also publisher at Writer’s Digest. You can read Lynn’s piece here and the comments as well. Phil Sexton spoke about a need for tweaks and improvements in the opening few weeks of Abbott Press and I expect many of those tweaks have now been made to the services offered. A scary line indeed, but the truth is Writer’s Digest Magazine itself, like many such writers’ magazines, has been carrying adverts inside their pages for vanity presses and so-called ‘self-publishing services’ for a long time. Where Writer’s Digest differs from other magazines is the fact that they also now own a self-publishing imprint in the guise of Abbott Press. I won’t say ‘run’ a self-publishing imprint, because in reality Author Solutions do that for Writer’s Digest under their direction. What has always been at the core of the great debate about commercial publishers launching self-publishing services and imprints is the motivation and perceived conflict of interest. The promise of additional dollars through new revenue streams can make the best businesses do strange and wacky things. Michael Hyatt at Thomas Nelsen had to do some serious defensive batting when he launched WestBow Press and he had the additional ‘moral dilemma’ curve ball tossed at him as to why a ‘Christian’ publisher would opt to go down the self-publishing services road. The roof didn’t fall in on Thomas Nelson, Harlequin or Hay House for that matter, and nor is it about to fall in on Writer’s Digest. A writing colleague quipped to me a few weeks ago on the very same subject: ‘You won’t see any of the big six publishers dipping their feet into self-publishing imprints!’ Really, I retorted, didn’t you know Random House once had a 49% share in Xlibris Publishing (now owned by Author Solutions), and while Authonomy is Harper Collins’ online writing community—and so-called experiment in seeking out new writing talent—it has been allowed become a predatorily ground for many companies offering self-publishing services, not to mention the blatant advertising on many of its pages for CreateSpace, an Amazon-owned print and self-publishing service. 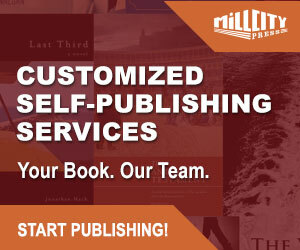 If that’s not a large commercial publishing house warming the bed for businesses offering self-publishing services—then I don’t know what is. Strange and wacky, indeed! As a writer, you have your own dreams, goals and ambitions – we appreciate that. You might simply want to publish for friends or family. Or perhaps you are looking to get published through more traditional channels. Whatever your objective, we can help you achieve it. 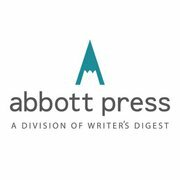 “As part of the Writer’s Digest family, Abbott Press offers expert publishing assistance that you won’t find elsewhere, along with top-notch educational opportunities that can help improve every aspect of your writing life. But like so many of the other self-publishing imprints set up in the past couple of years by commercial publishers, we are not told that the real partnership or arrangement here exists between the author and Author Solutions. Only briefly on the Abbott Press site, on their news/PR page, did I see any referral to ASI being head of the engine room for the publishing packages and services on offer. This is like Random House suggesting to us Katie Price (aka, Jordan, the model) writes all her own books without a ghost-writer in sight. In early 2014 Writers’ Digest ended its partnership with Author Solutions and no longer has any connection with Abbott Press. Abbott Press makes reference to an editorial standard, but this standard seems pretty open ended to me. 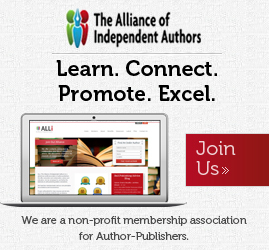 “Abbott Press is first and foremost about helping authors to create the book they want. 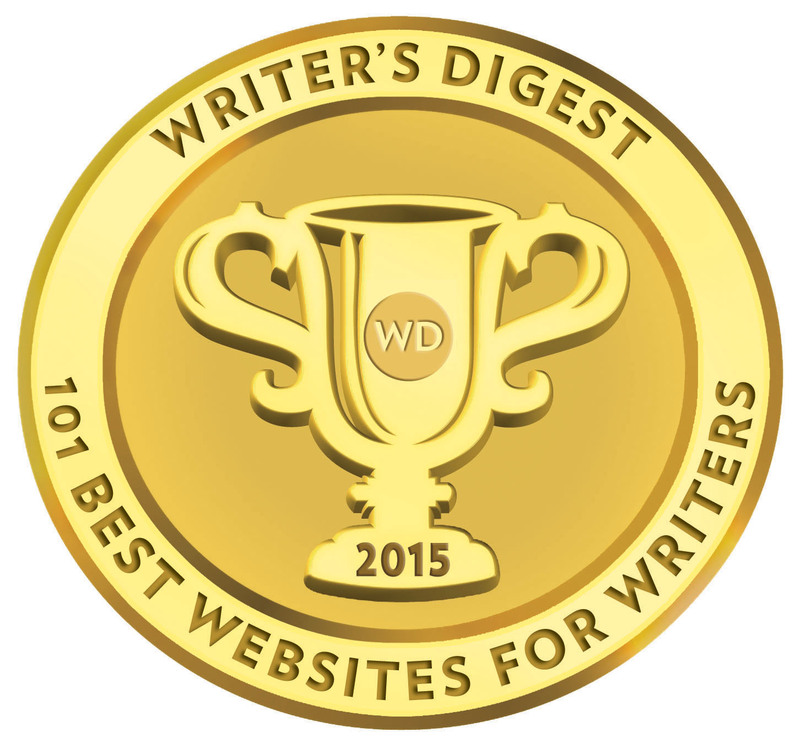 Fiction or nonfiction, humor or romance, mystery or self-help – we welcome all genres and categories of writing. What matters most to us is your level of satisfaction. At Abbott Press, we encourage you to hone your craft, whether your goal is to create a work for personal satisfaction or worldwide distribution. Let our team of experienced professional editors help you put your best work forward. Whether you’re looking for a light edit of spelling and grammar or a complete developmental edit, we can work with you to make your book the best it can be – no matter what your audience or goals. Part of the problem with authors new to self-publishing and publishing in general is they don’t have high editorial standards and will deliver to a publishing service a less than satisfactory book. While it is certainly a positive that Abbott Press should encourage any of its submitting authors to utilize their editing services (at 2.9 cent per word – I’ll find cheaper line by line editing elsewhere), but editing is not part of the three main publishing packages ranging from $999 to $2999 (Essentials, Premium and Elite). You don’t get as much as a press release for $3000!! 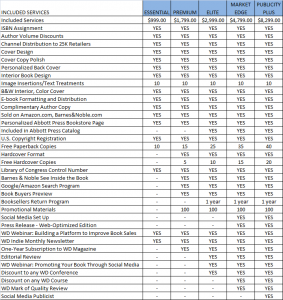 In fact the core three packages offer basic set-up, book production, online availability and listing with wholesalers and not much else (the Elite does include a bookseller returns program). Yes, you get the handful of so-called ‘free copies’ (up to 25 paperbacks as part of the Elite). Yes, sure, you get a Writer’s Digest webinar and monthly newsletter, but these are Writer’s Digest’s own products. The other two packages include all that is offered with the Elite and add further marketing and publicity services and discounts on WD products. 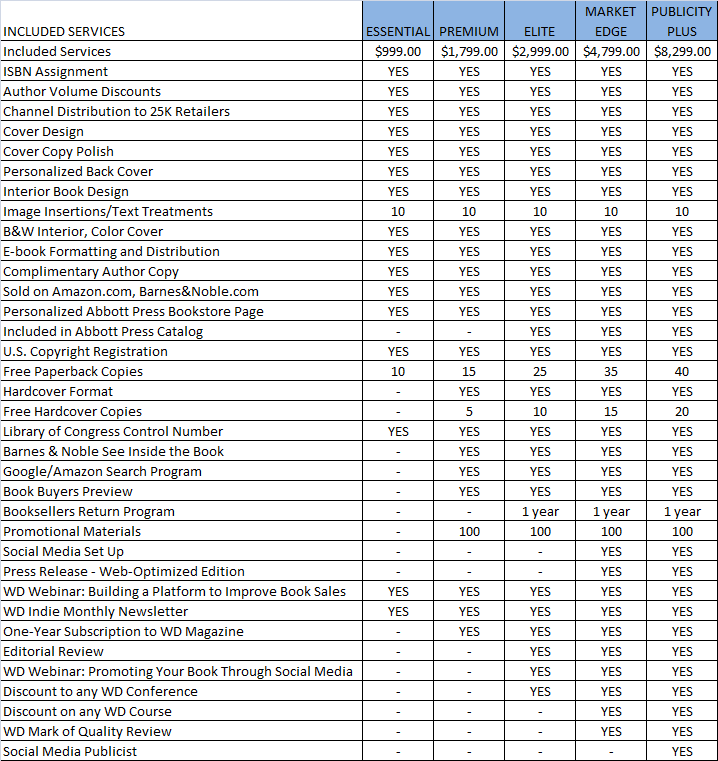 If anything, the Market Edge ($4799) and Publicity Plus ($8299) package are dead-heavy with endorsements and discounts to services which frankly add nothing to the actual marketing and promotion of a book to the trade or readers outside of physical promotional bookmarks etc, though the Social Media Publicist and Editorial review may prove of some benefit. Anyone can visit the bookstore if they know where the hell Writer’s Digest has hidden it, and I’m damned if I could find it anywhere. It is not linked on their site, and needless-to-say, there are no books advertised by Abbott Press on the website either. That’s a pretty shocking omission in light of the claims above. Neither could I find a single book on Amazon, which leads me to the conclusion that Abbott Press are being selective about the titles submitted for publication or few are taking up the option to utilize the services of Abbott Press. On the evidence I have seen so far, it may be the latter. Yes, the Writer’s Digest brand has offered much help, education and resources to writers over the years, and I have no doubt it will continue to do that, but I can’t help but feel the brand has been diluted somewhat with the advent of Abbott Press. It is a mishmash of Writer’s Digest underpinned by the services of Author Solutions and you can almost see the two companies jostling shoulder to shoulder with this endeavour. There are some jewels buried in here (the courses and resources), but much of it is what Writer’s Digest was, rather than what it is now. In short, Abbott Press looks too much to me like a horse designed by ASI and WD to be a vehicle to sell their services and products and in the end they have actually presented a bit of a pony to the self-published author. In line with many ASI partnership affiliation with commercial publishers, discounts on books to authors are far from attractive and there is a built in print mark-up. Your comment… I am into art, I mean I study FINE ARTS and I has wriitten three titles of books . . CREATIVE AND CULTURAL ARTS for Nursery 1, 2 & 3. I want you to put me thru becuse I love all I read about ABBOTT and I want them to handle it all so that I can EXCELL becausse I am a DISABLE and publishers here in my country are just here to cheat and furstraight my effort. Looking forward to hearing from you.